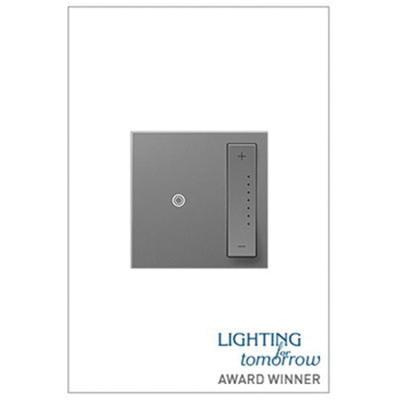 Adorne Softap™ Tru-Universal™ 3-Wire 3-Way Dimmer switch in magnesium color, has sensitive Softap™ technology with gentle dimming paddle to create two unique, sleek lighting control solutions. 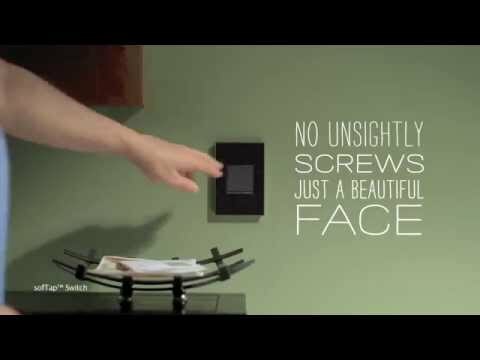 It incorporates Tru-Universal™ technology that allows for any bulb type and eliminates flicker. It has voltage rating of 120-Volts. This 1-Pole dimmer switch works with 700-Watt incandescent, halogen, forward phase ELV, MLV, fluorescent, CFL, LED and reverse-phase ELV. It has innovative snap-in system that ensures easy installation. Dimmer switch measures 4.2-Inch x 1.77-Inch x 1.79-Inch. Dimmer switch is UL/cULus listed.